We have sold and installed lots of DAB E.Sybox units since their introduction. One customer was so impressed with its performance that he bought a second unit for his farm in western NSW. Apart from this, we have not had any other feedback. This in itself is not a bad thing as generally people will only call you if they are not happy with the performance or the product does not meet their expectations. 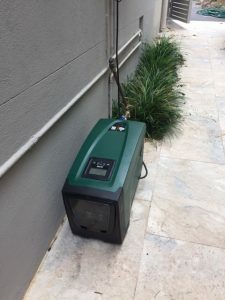 I have always thought that I would like to try one of the DAB E.Sybox systems out at our place as we live in Sydney and the water pressure over the last few years seems to be getting lower and lower. We are a family of 4 adults along with regular visitors and I seemed to be constantly turning the washing machine, garden tap or sprinkler off every time someone wanted to have a shower. Or I would be in the shower myself and the flow would drop because someone was brushing their teeth. 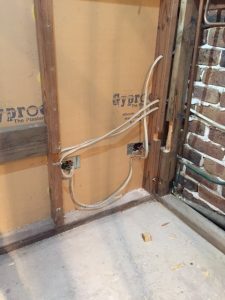 Well, we have recently started the dreaded downstairs bathroom renovation and husband Wayne thought that this would be the perfect opportunity to try the DAB E.Sybox out for ourselves. Our bathroom backs onto the garage. With the plumbing already in the vicinity, it was an easy decision to place the E.Sybox in the corner of the garage. 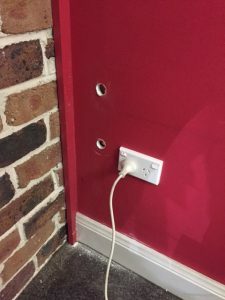 All we had to do was install a power point on the garage wall and run the copper tube through. 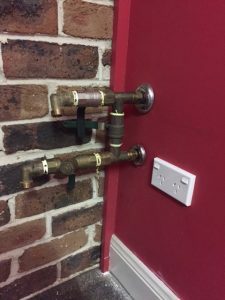 Probably not quite as simple as I make it seem, but having a husband who is a plumber is handy to say the least. 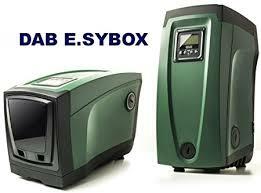 The DAB E.Sybox is an ideal pump for pressure boosting applications both in domestic & light commercial applications. It can supply water to a single dwelling and is suitable for use with drinking water. There are 2 sizes available - the standard pressure system with a 1.5kW, 2.1hp motor and an integrated 2 litre pressure tank or the DAB E.Sybox Mini with a 0.85kW, 1.1hp motor and 1 litre integrated pressure tank. 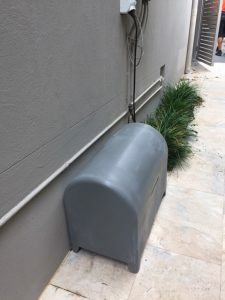 We initially planned on installing the larger of the 2 systems as we are on a 670sq corner block, have a 2-storey house, extensive irrigation system and 5 external garden taps. Quite frankly, neither of us thought that the Mini would do the job, how wrong we were! The DAB E.Sybox Mini was installed and we opted for the factory set 3 bar (300kPa). I've never really thought that 300kPa was anything outstanding considering the pressure drop we encountered every time more than one tap was open at the same time but to say that we were blown away is an understatement. 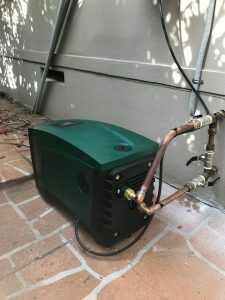 We had the shower running, the irrigation system on, the back lawn pop-ups on AND the washing machine going and the pressure for all 4 was constant and amazing. We couldn't be happier with the result and the added bonus is that this pump is super quiet. There were times when we were initially testing it that we didn't think that it was even running. The DAB E.Sybox can be set higher so that you maintain higher constant pressure but we found 3 bar sufficient. If you are experiencing low water pressure, give us a call. We can now vouch first hand that the DAB E.Sybox is every bit as good as it seems.